My oldest daughter just reminded me of something that I hadn't considered in years: when my children were young, my wife and I raised our kids somewhat differently than other parents. If you know me personally, then you're well aware that I'm not revealing anything surprising by that admission. But let me explain what I mean: every parent has to choose which traditions they want their children to experience, and which traditions they want to skip. For example, some parents let their children celebrate Christmas, while other parents might not let their kids participate in Halloween festivities. 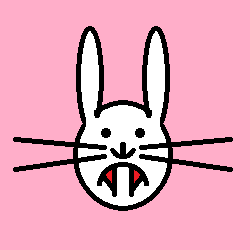 My wife and I decided that Christmas and Easter were great, albeit with no Santa Claus and no Easter Bunny. Now I know what many parents are thinking, and you can put the phone down - my children are all grown and you can't call Child Protective Services just because my children didn't set cookies by the Christmas tree in hopes that St. Nick would drop by. 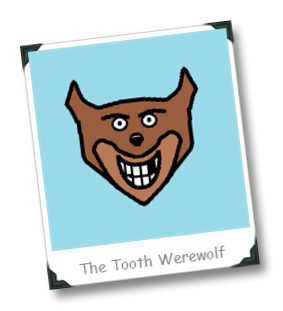 But we had one tradition that we didn't skip, we just changed it a little; instead of the Tooth Fairy, we had the Tooth Werewolf. That's right, instead of Tinkerbell, we had Timberwolf. I don't know why I chose to raise my kids with the belief that a big, hairy wolf snuck into their room and absconded with their baby teeth, but what's even more surprising is that my wife let me do it. In all actuality, my children knew that it was me - I made sure of that. 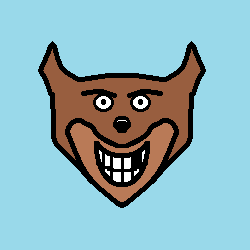 But it was pretty amusing when they would tell their friends that the Tooth Werewolf was coming to take away their teeth. 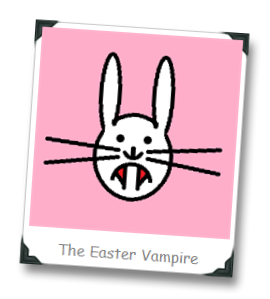 By the way, after a few successful years of the Tooth Werewolf, I decided that he needed a friend, and I invented the Easter Vampire. Years from now, someone might need therapy.